Last Summer we grew lots of chillies. 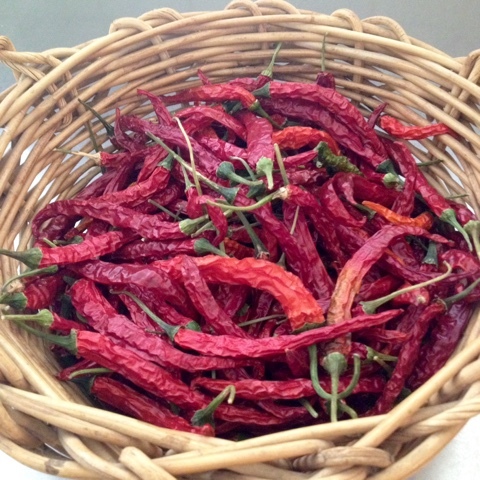 Fresh chilli was used when we could but there were so many that we had to dry them. After many months they were perfectly dried out and ready for processing. 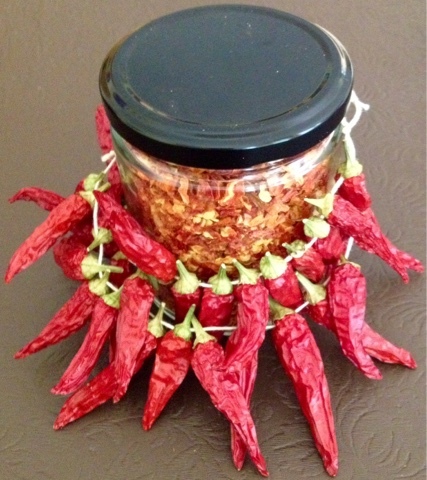 The smaller Thai chillies were threaded onto cotton string and allowed to dry out. There were many garlands of chillies decorating the doors and anyone who expressed any interest was given a string of chillies to take home. 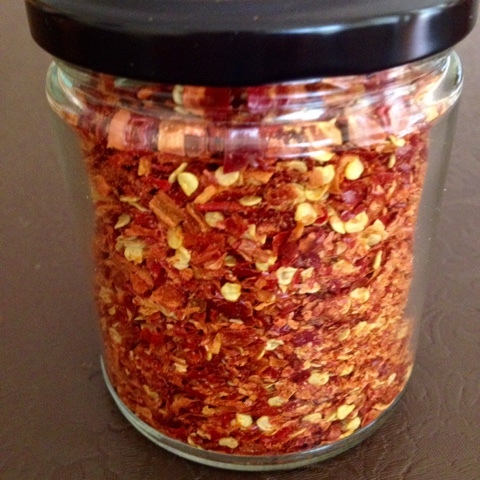 and then ground in the food processor to make jars of chilli flakes, these will also be gifted if there are any chilli loving friends left to give them to.